Don’t leave yourself unprotected from insurance companies and the legal defense of those responsible for your injuries. If we don’t win, you don’t pay. So, rest easy and let Attorney Kevin Broderick handle your claim. The Broderick Law Firm, LLC has been representing accident injury victims in Massachusetts and New Hampshire for more than 20 years. He knows how the insurance companies work, and he will aggressively defend your right to fair and reasonable compensation for your injuries. A personal injury attorney assists and advocates for injury victims at every stage, from negotiating with insurance companies and assembling a case on your behalf to filing a lawsuit and representing you at trial. Working with a personal injury attorney from the beginning can help you avoid missteps, such as missed deadlines, being misled by an insurance company, or loss of access to evidence. Personal injuries happen without warning. The aftermath is oftentimes painful and stressful. If you’ve been injured due to someone else’s negligence or recklessness, don’t let a moment go by without contacting an experienced personal injury attorney. If you or a loved one in Massachusetts or New Hampshire are a victim of a personal injury-related accident, experienced litigator, Kevin P. Broderick, will fight for you. With more than 20 years of experience in the courtroom, Broderick will help you understand your legal rights and seek compensation for your injuries, damages, and recovery. Personal injury cases are taken on a contingency fee basis. There is no fee unless damages are recovered for you. A personal injury case may arise from any type of injury you suffer because someone else was careless or didn’t live up to his legal obligations. Property owners are required to keep their land, buildings, and surrounding landscape free from conditions that could cause harm. Injuries that occur due to improper care like slip and fall injuries can take place on both public and private property in any place that has the possibility of uneven ground, slippery surfaces, or obstructions. If someone’s negligence has caused you or your loved one bodily harm, it is vital that you speak with Attorney Broderick, no matter how minor or severe your injury, to receive the compensation that is rightfully yours. 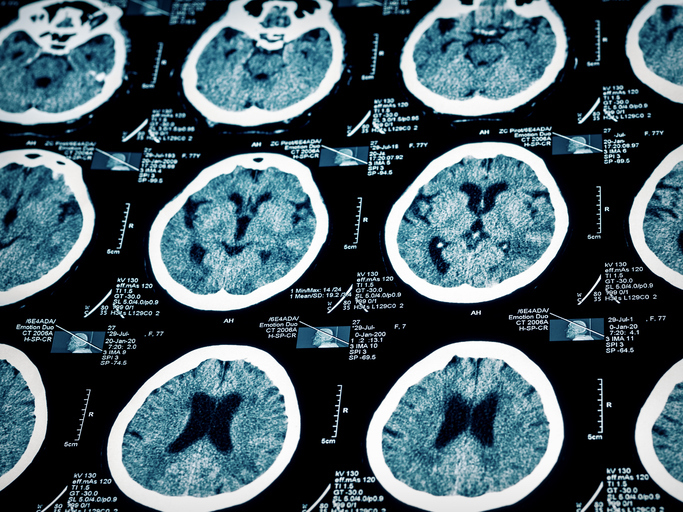 A brain injury is one of the worst types of physical damage a person can suffer in an accident. A brain injury is sustained when a victim receives a blow to the head that is strong enough to impact the brain and cause injury, swelling, dizziness, nausea, and confusion. Severe cases may include unconsciousness, memory loss, or coma resulting in long-term or permanent effects. Brain injuries can result in, or cause a victim to require, ongoing therapy and treatment to rehabilitate from severe trauma. Contact Attorney Kevin Broderick today if you or your loved one has suffered a brain injury. He will fight for the justice and compensation you seek. If you or a loved one has suffered a spinal cord injury, you need to secure legal representation immediately. Injuries involving the spine have the potential to temporarily or permanently affect body movement and brain function. Victims of life-changing disabilities often require extensive medical care, physical therapy, a caregiver, and experience a lifetime of consequences. When a spinal injury is the result of a negligent act, Attorney Kevin Broderick will take legal action and seek justice and full compensation on behalf of the injured person. Numerous individuals are bitten by dogs each year and many bites are serious enough to require medical attention. 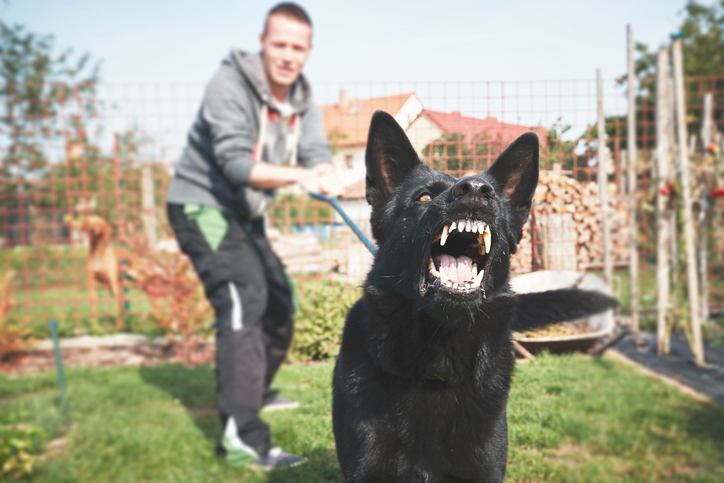 Dog owners can be held responsible when bites or attacks occur. If you or a loved one have suffered injuries after being bitten or attacked by a dog, it is important to know your legal rights. Legal issues surrounding dog bites can be complex. While you recover, Attorney Kevin Broderick can fight aggressively for you with his knowledge and experience to ensure you get the compensation you deserve. Medical malpractice is life changing. Medical errors, such as anesthesia mistakes, birth injuries, delayed diagnosis, physician error, and hospital negligence, can have devastating consequences. It can be costly for common citizens to take on negligent or careless mistakes are made by doctors, nurses, and other health care professionals. Therefore, it’s important to partner with an experienced attorney and act quickly when you receive improper medical care. The earlier you hire an experience malpractice attorney like Kevin Broderick, the better your chances are for success. Nothing compensates for the pain, grief, and sorrow you experience when a loved one is killed in an accident caused by someone else. The responsible party needs to be held accountable for their actions and for your suffering. If you want to pursue compensation for the death of a loved one, you need an aggressive, legal advocate on your side. Contact Attorney Broderick to help you obtain the benefits you deserve for the pain and suffering, emotional trauma, and loss of wages you’ve endured. Kevin Broderick has handled all types of claims on behalf of injured workers. He understands how construction accidents or work-related back injuries can turn your life upside-down. Work-related injury attorney Kevin Broderick can help you file your workers’ compensation claim so that all the facts and the law are squarely on your side. 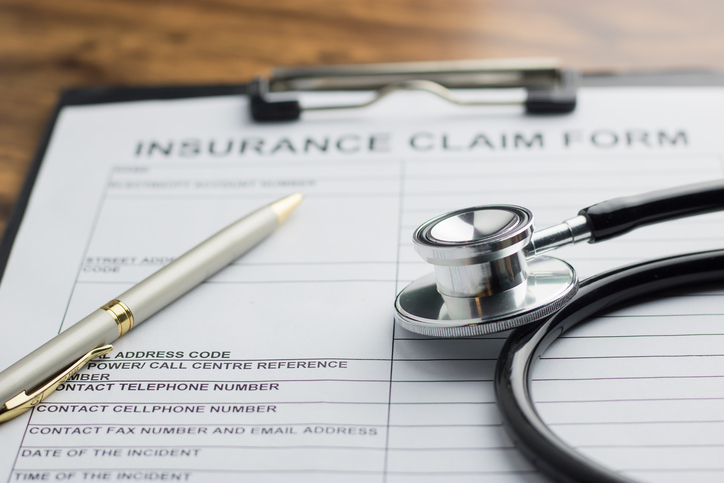 He will work directly with doctors and insurance companies on your behalf to get the benefits you are entitled to under the law, quickly, while you recover. toxic fumes, and other dangerous environments. The victim of a premises liability injury deserves to be compensated by the responsible party. Your case needs the personalized attention of an experienced premises liability attorney. Partner with Kevin Broderick to seek justice for the wrongdoing that caused you or your loved one unnecessary pain. First, get checked out by a medical professional. It’s very common for symptoms to appear hours or even days after an accident. One reason for this delay is that many people are in shock immediately following a traumatic event. Seeing a physician will ensure that any injuries sustained are promptly and appropriately treated. A timely medical evaluation will also help preserve the record in case you discover later that your injuries are more extensive than you initially believed. Of course, the extent of your injuries and the nature of the situation may impact the information and evidence you are able to gather at the scene. If you can, collect insurance information from the responsible party, contact information for any witnesses, and even photographs of the scene. You’re not legally required to hire an attorney to handle your personal injury claim. However, if you decide to pursue your claim on your own, you are still expected to know and follow all of the relevant laws and procedures. For example, you must know and meet deadlines, submit pleadings in the required format and include information that is legally sufficient to support your claim, respond appropriately to discovery requests and propagate your own, and otherwise do the job an attorney would do for you. This can be both risky and daunting, since building a strong personal injury case is time consuming and requires knowledge in a variety of areas beyond the legal process, such as how to establish economic losses, how to prove and quantify the need for ongoing medical care, and how to secure and work with expert witnesses. Most people who have recently suffered a serious injury do not have the time, energy, knowledge, or funds to effectively pursue a personal injury claim on their own. Most injury victims can’t afford to pay an attorney up front on an hourly basis. We handle personal injury cases on a “contingency” basis, which means that our fee is a percentage of your award or settlement. We don’t get paid until you do. In many cases, we will also advance expenses associated with building your case, such as expert witness fees, to ensure that we have the opportunity to put forth the strongest possible case on your behalf, regardless of your financial situation. The answer to this question is different for every single personal injury victim, and no attorney can tell you exactly how much you can expect to recover. However, an experienced personal injury lawyer will be able to evaluate your damages and the circumstances of the injury and provide an educated estimate. The best way to get a general idea of the value of your claim is to schedule a free consultation with a local personal injury lawyer. The statute of limitations for filing an injury-related lawsuit varies depending on the state, the type of claim, and sometimes even the responsible party. In addition, the event that starts the clock may differ. For example, in both Massachusetts and New Hampshire, the statute of limitations for most injury cases is three years. But, in the case of an event such as a car accident, that three-year period starts to run when the accident occurs. For a medical malpractice claim, the three years doesn’t begin until the injury is discovered, which may be immediately after the malpractice occurs or may be months or years later. Workers’ compensation claims in both states have much tighter notice requirements, and there may be special procedural requirements and shorter timelines associated with claims against governmental entities. Consulting a personal injury attorney as soon as possible after your injury will help ensure that you don’t miss critical deadlines and lose the right to compensation. Kevin Broderick is an experienced personal injury lawyer who will fight for you. You don’t have to shoulder the burden of injury-related expenses alone. Give yourself the peace of mind of having someone on your side. Contact the Broderick Law Firm, LLC today or call our office at 978-459-1792 for your free personal consultation. Kevin can help you get the justice you seek and the compensation you deserve for your personal injury case. 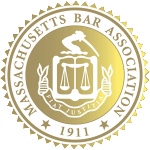 If you or a loved one in Massachusetts or New Hampshire has sustained injuries due to someone else’s negligence, you should first seek medical attention. Your next order of business should be to find an experienced personal injury lawyer in your area to help you receive compensation for your injuries. When you’ve suffered an unexpected injury, damages, or loss, you need a legal advocate on your side to ensure the responsible party is held accountable and that you receive appropriate compensation. Attorney Kevin Broderick specializes in personal injury and vehicle accident cases. Broderick can take the burden of dealing with insurance companies, automobile manufacturers, or others involved off of your shoulders while you focus on recovering. With more than 20 successful years of large payouts and winning cases, Broderick is an attorney you can trust to fight for you. He will aggressively represent your legal claim and help you receive the compensation you deserve and the justice you seek. Contact Attorney Kevin Broderick today for your free case evaluation. Contact Attorney Kevin Broderick Law today. Complete the form below to schedule a free case evaluation! 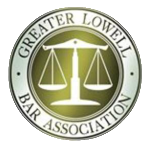 Serving clients in Massachusetts and New Hampshire, including Lowell, Lawrence, Littleton, Billerica, Andover, Chelmsford, Westford, Groton, Acton, Tyngsborough, Dracut, Methuen, Hudson, Nashua, and Pelham. If you've been hurt, Broderick can help.